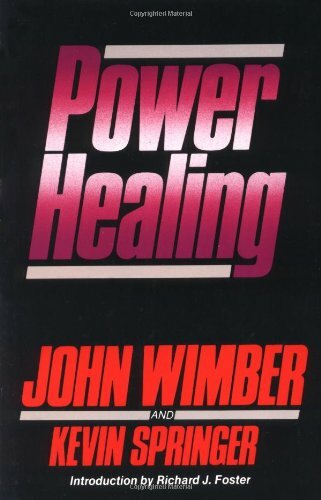 Most of the thesis of this book’s view of divine healing will be based on John Wimber’s Power Healing and other Vineyard books. I will, however, produce examples of healings from past saints, such as Hildegard of Bingen, Francis of Assisi, Martin Luther, George Fox’s Book of Miracles, The Supernatural Occurrences of John Wesley, The Supernatural Occurrences of Charles G. Finney: “Insanity Healed”; Stanley Frodsham’s Smith Wigglesworth; Jamie Buckingham’s Daughter of Destiny (Kathryn Kuhlman); Carol Wimber’s The Way It Was (John Wimber’s bio); and Nancy Hardesty’s Faith Cure: Divine Healing in the Holiness and Pentecostal Movements. John Wimber’s videos on spiritual gifts and healing. Also based on the arguments in Empowered Evangelicals, ch 3, I plan to provide a kind but reasonable critique of erroneous views about praying for healing in both Pentecostal and conservative evangelical churches. This entry was posted in Uncategorized and tagged Charles G. Finney, divine healing, Healing Prayer, John Wesley, John Wimber. Bookmark the permalink.